Of all the equipment in a golf bag during a given round, the wedges might get the least attention paid to them. Unlike other clubs, it doesn’t much matter what kind of shaft you have in your wedges, and many golfers just pick whatever brand they have for the rest of their irons and just call it good. In reality, wedges are vital to scoring and should be given as much attention, if not more, as the rest of the clubs in the bag. The TaylorMade ATV wedges were designed with flexibility in mind, and that is a good thing when it comes to the wedge game. In fact, ATV stands for All Terrain Versatility, because you never know what you are going to run into on the course. When you are playing a creative shot from a tough spot around the course, you are usually doing it with a wedge in your hand. Having a club that doesn’t get in your way and allows you to be as creative as you can be is ideal for helping you maximize your scoring efforts. Most wedges are designed with a consistent bounce angle so you get the same degree of bounce no matter how you have the club face positioned behind the ball. That is not true of the ATV wedges. Depending on how you position the club head, you can work with different amounts of bounce to match the shot you are trying to play and the conditions of the course. Usually, firmer turf will require less bounce, while it is helpful to have more bounce when the course is soft. Instead of needing different wedges for different course conditions, the TaylorMade ATV wedges will allow you to adapt on the fly and make the club fit the needs of each shot as you come to it. Just because it has some innovative design on its sole doesn’t mean this club is lacking in quality or feel. It is the same great wedge feel and look that you have come to expect from TaylorMade, and you will have no doubt that you are hitting a tour-quality wedge. With milled grooves across the face of the wedge, you should be able to generate just as much spin with this club as you do with other wedges – if not more. Of course, like any club, you should try it for yourself and see what the ATV might be able to do for your short game. Offered in seven different lofts from 50* to 64*, the TaylorMade ATV wedges can be used to perfectly fill out your set and make sure you have a club to cover all of the yardages on the course – in addition to your chipping and pitching needs. Before you just buy the first wedge you come across on the rack, be sure to try out the ATV wedges and make up your own mind on how these innovative clubs can transform the short game. 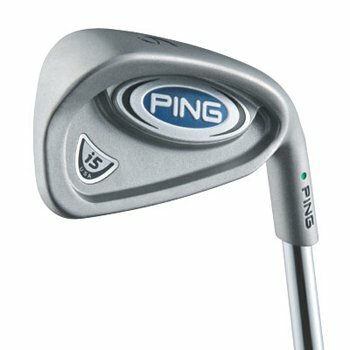 Ping I5 irons have been widely regarded as for their craftsmanship and playability. They are also one of a select few golf manufacturers that are well known for their wedges, whether they are 48, 52, 56, or 60 degrees. With this in mind I decided to try out the Ping I5 lob wedge to see if it really provides the playability that I am looking for in a wedge. The specific lob wedge I tried out was the Ping I5 with a red dot. What does the red dot mean? After putting in some research, I found out that the dot color relates to the lie angle of the club itself. Before swinging a golf club one should make sure that the grooves of it are parallel to the ground, with both the heel and toe not being elevated above the other. The red dot on the club specifies that the lob wedge is -0.75 degrees flat. What this means is that the heel of the club is elevated a bit more than the toe, which leads to shots going more to the right for the average golfer. With all of that technical golf jargon aside, let us move on to the review itself. As far as positives, the Ping I5 lob wedge has great feel and control not only around the greens but also in the fairway as well. It feels a bit lighter than a normal wedge, and I believe that is what makes it feel so good. What does feel have to do with anything? For low handicap golfers like myself, feel plays an important part in the wedge game (shots 100 yards and in). You want to have a club that you can feel confident in and know will get the ball where you want it to go, and I certainly felt very comfortable using this club. The trajectory on most shots was either mid or high ball flight. The golf ball goes airborne very easily when hitting this lob wedge. Even when in the deep rough it still has a pretty good trajectory to it. Lastly, the Ping I5 lob wedge has very good forgiveness. When I hit a shot that was a bit off the sweet spot the golf ball was still very close to my original target. Now onto the negatives. Concerning spin, I thought the lob wedge was average to below average when it came both to fairway shots and shots around the green. Don’t get me wrong, it spins like any other lob wedge would when hit properly, but that is the problem. If the spin is the same as other lob wedges on the market, why not go with those instead? I like to hit a lot of bump and chips around the green, and this lob wedge did an okay job at best. At least two or three out of every ten shots did not check up the way that I had planned it to, and this can add unnecessary strokes to any golf round. My overall conclusion of the Ping I5 lob wedge is that it is a good club for its intended target area – mid handicappers (around 15). The lob wedge doesn’t have the top of the line performance that a low handicapper needs when trying to shoot scratch or below, but if offers great workability for golfers with mid to high handicaps. Before purchasing a Ping lob wedge, make sure to check with a golf pro or golf store representative to figure out which color dot is right for you. It could make the difference between a slice and a hook, so it is important to check into this before buying any golf club. Take a look at some great prices on new and used Ping I5 Lob Wedges. We had some time to review the Taylormade TP xFT Wedge this past weekend for a few rounds of golf. These high tech wedges are equipped with xFT which stands for Exchangeable Face Technology. This allows the golfer to change out the face with as they wear with just a couple of screws. Having fresh grooves on the wedge is very important for generating the right amount of backspin on the ball for those close approach shots at the green. On the course the wedge feels very solid, we couldn’t tell it was actually two pieces. The amount of backspin was decent with our 56 degree and 12 degree bounce and it felt soft and responsive when striking the ball. For a normal weekend golfer we’re not sure if you need interchangeable faces as you could probably get away with a simple groove sharpener and save a lot of money. Take a look at some great deals on new and used Taylormade TP xFT Wedges. The Nike SV Tour Black Satin Finish Wedges is preferred by tour professionals due to the wedges’ resistance to glare thanks to its black satin finish. The club boasts of the Nike Crossline grips and a U groove design thatr delivers increased spin. Nike came up with the SV Tour Black Satin Finish Wedges based on the feedback of the staff of the Nike Golf Tour so you can expect that it pretty much conforms to the needs of a tour golfer. It boasts of a consistent golf ball response thanks to a CNC milled face so you get more accurate shots. This golf club is made of 8620 carbon steel which is softer by 45% than the 17-4 stainless. 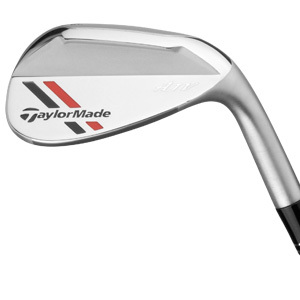 The TaylorMade Z TP Wedge makes possible a higher spin thanks tot he aggressive edges macthed with an increased volume. The milled Z grooves also makes possible more stopping power. Golfers willlove the smoked PVD finish that’s responsible for reducing the glare attracted by the club thsu getting more focus on the shot with minimal distractions. You can also open the wedge face easily in different degrees due to the C Grind Sole that has been tour-proven. And after a day of paying golf, say goodbye to aching hands or even blisters thanks to the rubber grip. The Callaway X-Forged Vintage wedge is another incredible output from designer Roger Cleveland. The wedge is made of 1020 carbon steel which is preferred by most players since it has that anti-glare vintage finish and delivers an incredible feel. 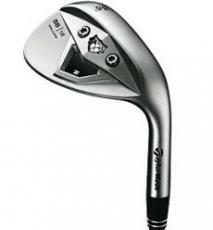 This wedge boasts of Mack Daddy grooves that are aggressively-sized and are designed for tour level spin. You will know you have the Mack Daddy grooves by looking at the MD etching on the hosel. The grooves will also provide more distance control and trajectory levels. Take your wedge to the greens and experience that feel that can only be delivered by a forged 1020 carbon steel. The Adams 2008 Watson Wedge Pack is an ideal tie up between Adams and champion golfer Tom Watson. This wedge has a teardrop shape, shallow heel and a high toe. Watson is particularly fond of the grind which provides extra bounce, allows easy hitting and provides a lot of versatility no matter where you are playing. The Adams Wedge combines style and performance, characteristics for which Watson is known for. You also get the guarantee that this wedge has been tour-tested and has passed Watson’s high standards when it comes to gold and golf clubs. This wedge boasts of a USGA groove volume, PVD process or premium physical vapor deposition which results to a soft feel and a glare-reduced finish. You can also expect a deeper center of gravity as well more control.